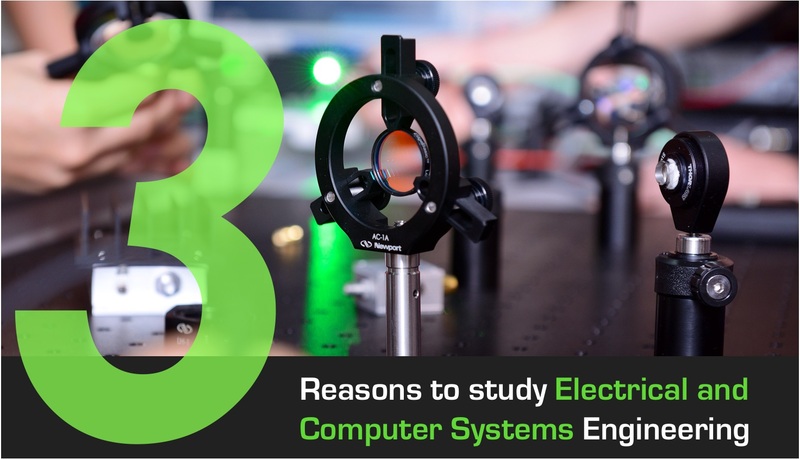 Our electrical and computer systems engineering (ECSE) course is a unique blend of electronics, computer systems, electrical power and telecommunications engineering. In addition to the core subjects, you will also learn programming (including Python, if you choose to minor in Computer Science, or Computer Networks and Security). Furthermore, through the ‘Computer Vision’ elective unit, you will learn Artificial Intelligence (AI) and machine learning (including deep learning). In the third-year capstone unit, you will design and build a robot to solve a challenging engineering problem through the integration of knowledge in electronics, electro-mechanical systems, and microcontroller programming. We have four specialised labs - Deep Learning Lab, IOT (Internet of Things) Lab, Intelligent Lighting Lab, and Micro and Nano Devices Lab - to support research and final year projects. As an ECSE graduate, you are well-equipped to develop the next-generation communication technologies, new electronic sensors and devices, and smart solutions to improve, for example, manufacturing, transportation and healthcare using IOT. You could even help build a smart city that is lit by intelligent lights and powered by a smart grid. With their diverse skills, ECSE graduates work in a wide range of industries, including the fast-changing high-tech industries. They are well sought after by multinational companies, and some have been offered jobs even before they complete their degree. 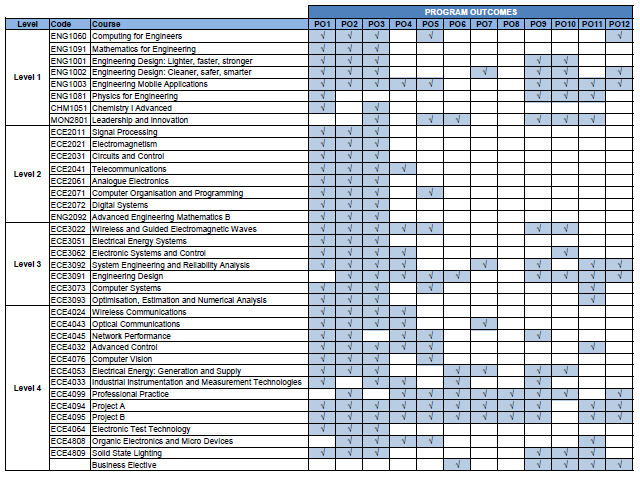 The Electrical and Computer Systems Engineering discipline has developed a set of Program Outcomes (POs) for all of its graduates based on the competencies required by the Malaysian Engineering Accreditation Council. Design/Development of Solutions: Design solutions for complex Electrical and Computer Systems Engineering problems and design systems, components or processes that meet specified needs. Research-based Investigation: Conduct investigations of complex Electrical and Computer Systems Engineering problems using research-based knowledge and research methods including design of experiments, analysis and interpretation of data, and synthesis of information to provide valid conclusions. The Bachelor of Electrical and Computer Systems Engineering (Hons) is accredited by the Malaysian Qualifications Agency (MQA), Engineers Accreditation Council (EAC) and Engineers Australia Accreditation Board. See here for more information.